While most posts about The Louvre are probably about the art (like my Mona Lisa post and Sculptures & Statues post), I decided that The Louvre Palace is pretty enough to deserve its very own post. 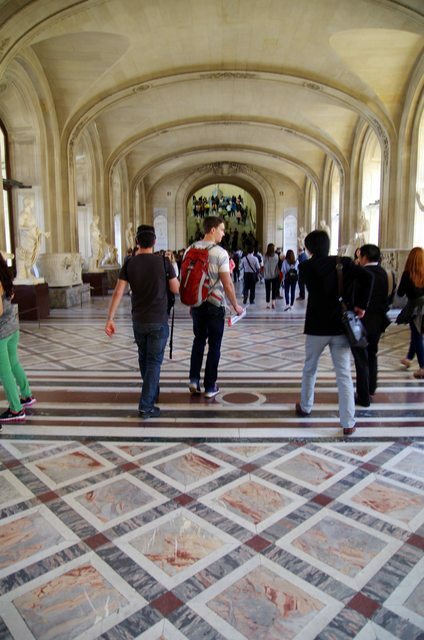 The Louvre Museum is housed in The Louvre Palace. The palace is 652,300 square feet and holds nearly 35,000 artifacts. 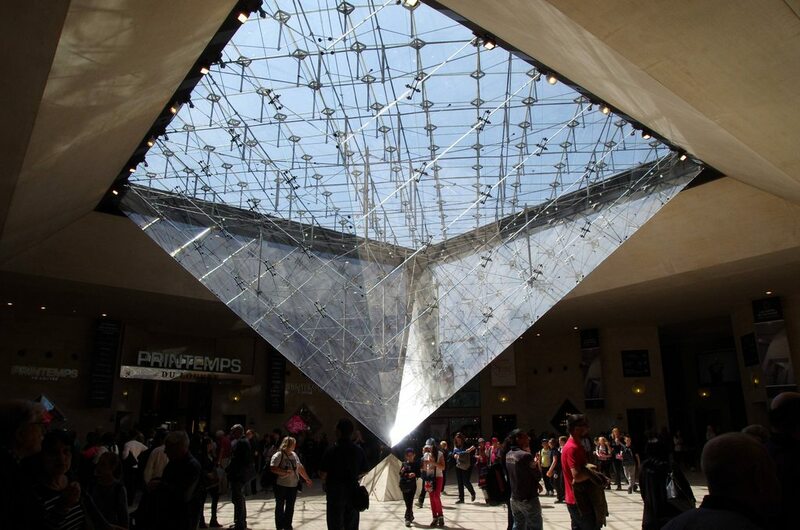 The museum is the most visited museum in the world. 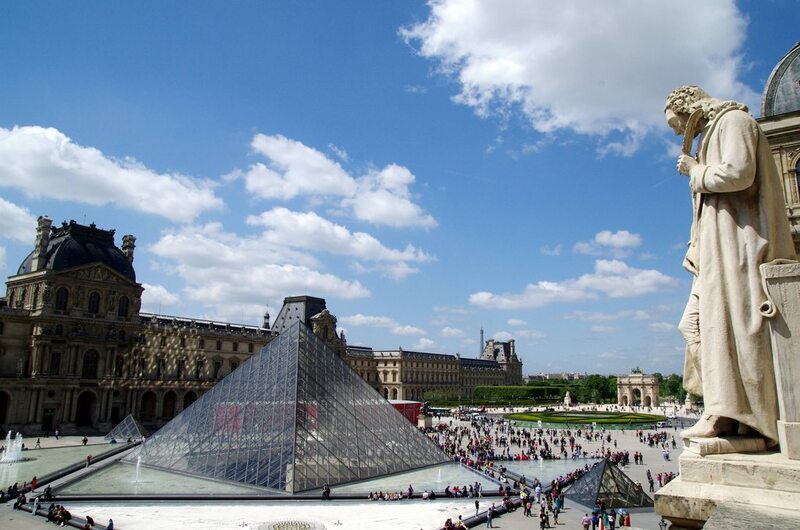 Construction of The Louvre Palace began in 1202, though it was renovated throughout the years, including the controversial addition if the infamous pyramid (completed in 1989). 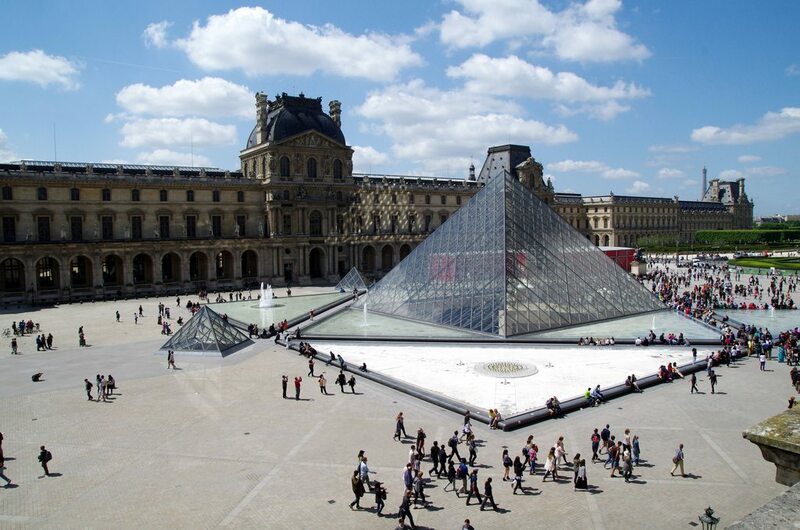 How the Louvre was named is unclear, though some think it is a form of “leouar,” a Latin-Saxon word for castle. 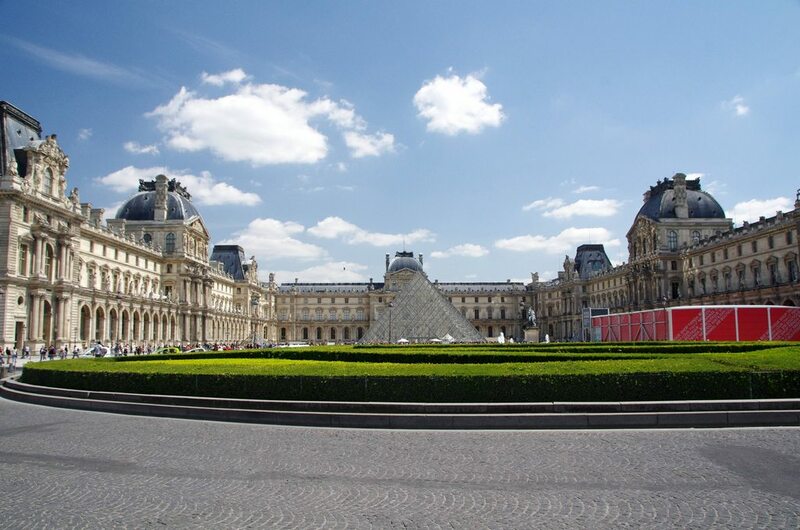 The Louvre served as the seat of power in France until Louis XIV moved to Versailles. 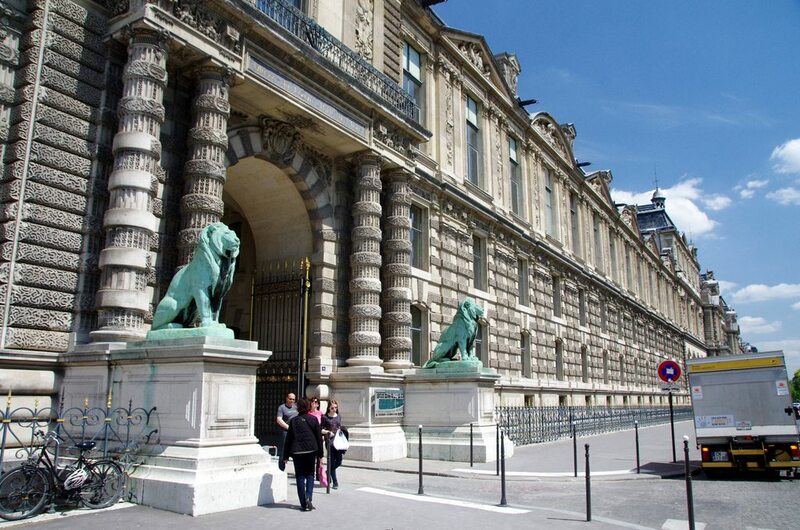 It continued to be used as a formal seat of government until 1789, at which point it became a museum. 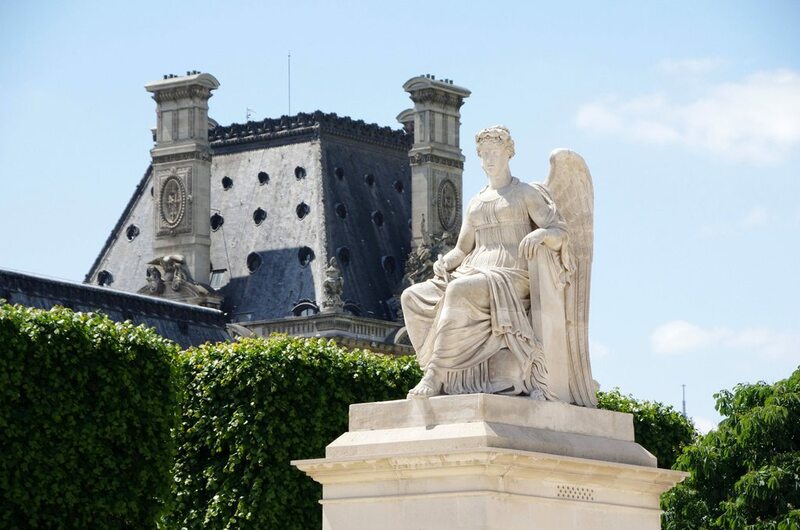 Following the 1870 renovation, Napoleon Bonaparte III became the first ruler to live in The Louvre since Louis XIV. 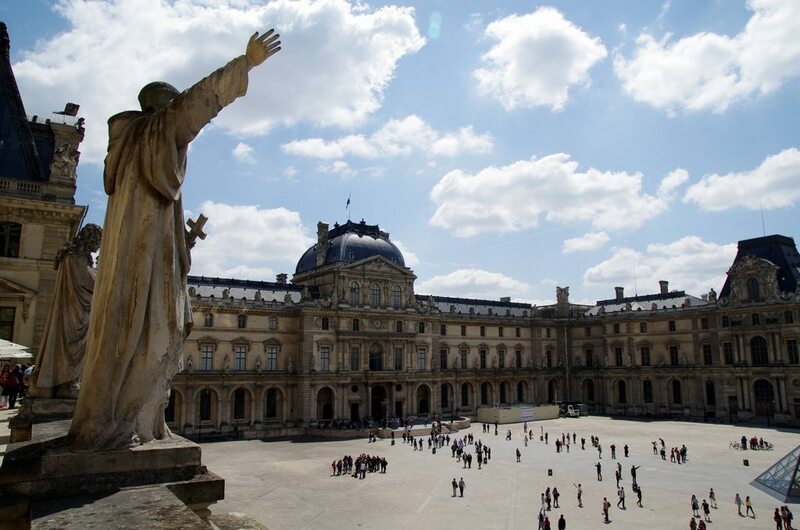 You can visit Napoleon’s apartments at The Louvre. Looking back, I wish I had taken more photographs of the buildings, but it was hard to remember to pay attention to the building when you’re surrounded by so many beautiful works of art. In addition to the photographs in this post, I also took some nighttime photographs of The Louvre. We ate lunch on a terrace overlooking the area enclosed by The Louvre Palace. It definitely offered a neat perspective of the buildings, and I enjoyed getting to see the statues up close. 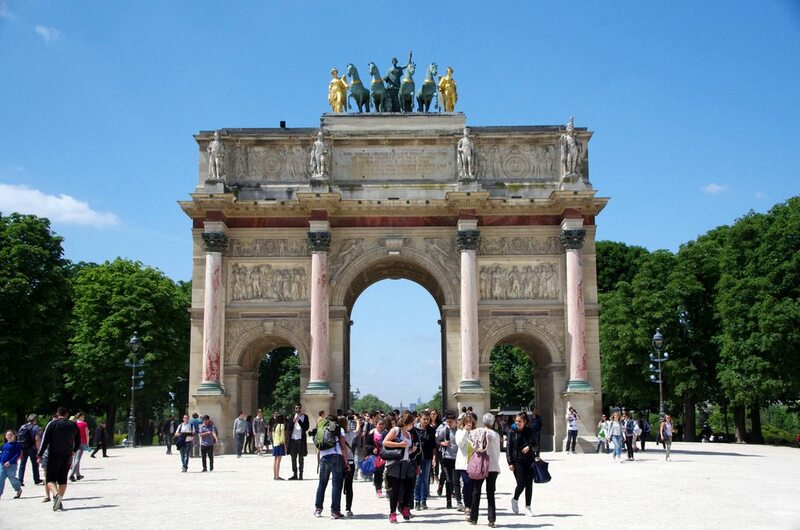 Many people recommend entering The Louvre at the Porte des Lions entrance (shown below), as it is one of the less popular entrances. Unfortunately, this entrance was closed the day that we visited The Louvre. 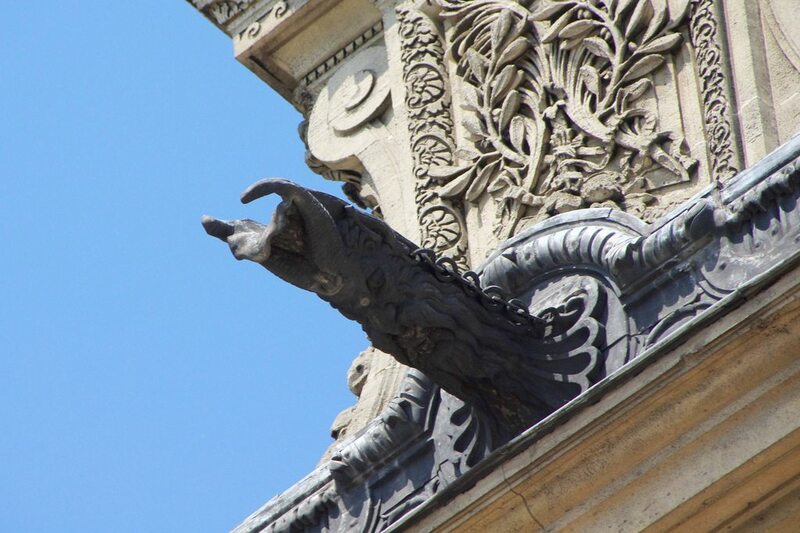 The Louvre Palace, as with most buildings in Paris had very interesting gargoyles to direct the water flow off of the eaves — the one below is one of my favorites. The infamous pyramid as seen from the inside — I used my fish-eye lens in an attempt to capture more of the pyramid. 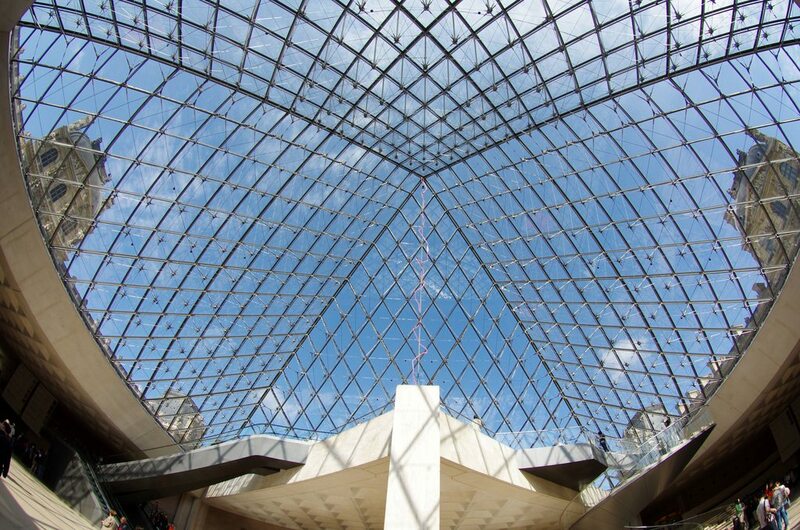 This photograph is one of the inverted pyramids that was located in the (confusing) underground shopping area beneath The Louvre. 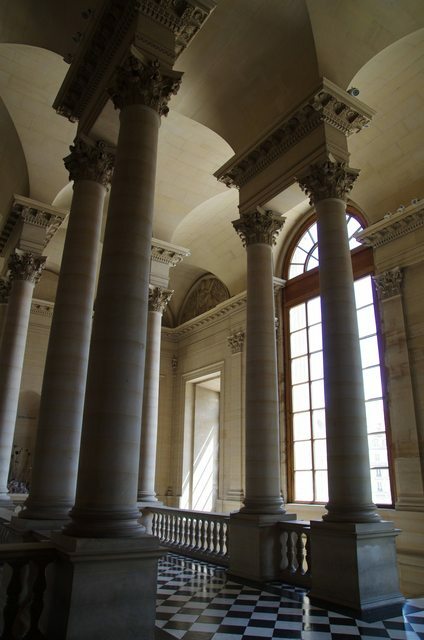 The inside of The Louvre was incredibly beautiful, though I did not take nearly enough pictures of the building. 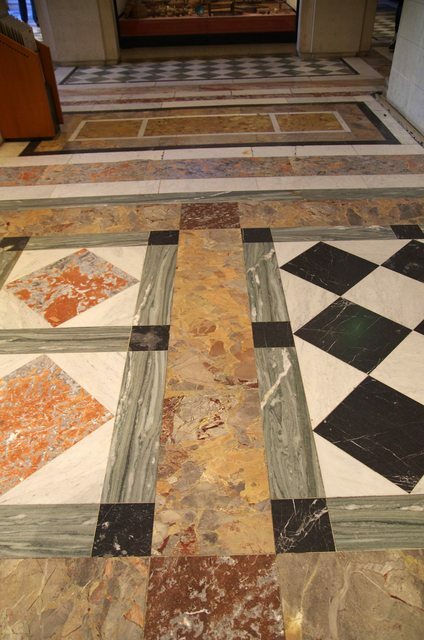 It is evident that much attention was paid to the little details when this building was built — take a look at the floors in the next two pictures!